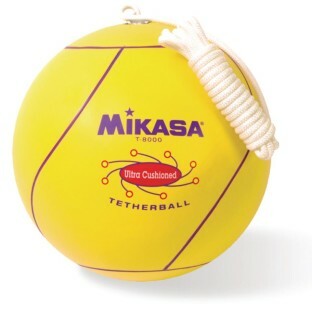 Ultra cushioned tetherball with rubber cover. Ultra cushioned tetherball with rubber cover. Competition rope included. Official.